Having finished an international phonecall moments ago where we managed to speak about cocktails and liquers for half an hour, I am inspired to write and share for those who don’t know, about a cocktail that rises above all other cocktails in its compisition, simplicity, and most importantly, taste. The Mojito. It’s origins can be found in Cuba, and linguistically ‘mojito’ is derived from ‘mojo’, which further derives from the Spanish ‘mojar’ in its infinitive form. The components of a Mojito reside in basic categories. Rum (preferably Havana Club 3 y/o), lime, soda water, mint and sugar. Havana Club 7 can also be used to make a dark rum alternative. The essence of this cocktail is in its refreshing and sweet qualities which mask, but do not discount the intensity of the rum. Served in a tall glass (collins), the Mojito is traditionally served with ice cubes however in the UK and the US bartenders will often prepare a slight variation with crushed ice. The blend of ingredients provides for a wonderful cigar pairing in the form of a Montecristo #2, or for the smoker requiring less of a punch, the San Cristobal El Principe. Both of the latter can be purchased from the following online UK retailer by clicking here. Within the next month (approximately) the new series of Lost will begin broadcasting a few days apart both in the UK and the US. I for one am looking forward to this greatly, especially with the addition of flash forwards and flashbacks combined. This post is not intended to be a spoiler, however i am including a Season 4 trailer which does reveal some information from Season 3. See you on the island. 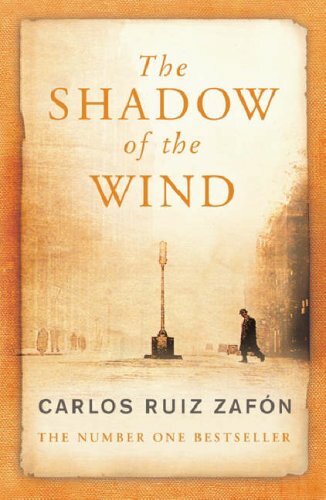 The shadow of the wind, or in Spanish ‘La Sombra Del Viento’ is a novel by Carlos Ruiz Zafon. I devoured this book in no more than four days, each page offering a gripping narative and intuitive storyline. As far as i am concerned, this novel is the superlative example of writing in the top form. I have never enjoyed a book to the latter extent. Set in Post Spanish Civil War Barcelona, the novel follows a character named Daniel Sempere. Following the war, Daniel’s father takes him to the ‘cemetery of forgotten books’ where Daniel is informed he may pick one book, and he must protect, preserve and treasure it infinitely by oath. The book he selects is ‘The Shadow Of The Wind’ by one ‘Julian Carax’. Daniel seeks other works by the author without success, yet discovers a dark and mysterious past surrounding a character from the book named Lain Coubert, a personification of Satan. His research leads him to discover that the person assuming the name of Coubert has been buying and burning Carax’ books for many years. As the story develops, this very man approaches Daniel with a generous offer to part with the book, yet Daniel observes the oath he took, and becomes entangled in a web of confusion and complication, a story that predates his very birth, and endeavours to threaten his very life. I highly recommend this book to anyone who enjoys fiction. It is a lengthy novel but you will find it is quite ‘unputdownable’. In the summer of 2005 I visited Paris and i recall an elderly lady lighting up in a high end department store. Though this was not a conventional act, customers and staff alike did not point out this error to her. In fact, observers seemed to look upon her with admiration. Something that would never happen in our confused country. 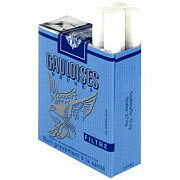 However the golden era of smoking in France is over. From January 1st 2007 the smoking ban will claim its next victim, France. A country renowned for cafe culture will be forced to change its face. Despite the pending ban, smoking is on the increase in France, which is a clear indication that the ban is not what a large proportion of the people want. I am a fairly frequent visitor of France and have always enjoyed smoking in the cafes, bars and restaurants, and this has become a novelty since the ban was enforced in the UK. However, the good news is that unlike the UK, some exceptions will be made, notably for casinos, nightclubs and ‘tabacs’ (licensed cigarette retailers with adjoining bars/cafes). If you are lucky enough to spend New Year’s Eve in Paris, happy smoking, for apparently police will not vehemently enforce the law on January 1st. Luna Mezzo Mare, sung by Dean Martin is a song i’ve been seeking for several months. Having discovered it, and because it’s the Christmas period, i’d like to share it. Godfather fans may recognise this song from the wedding scene at the beginning of Godfather Part I.
December 26th, today, boxing day. Yet i realised today, I didn’t know what the meaning behind ‘boxing day’ was. A day that I celebrate consistently in the same way every year by drinking, smoking and relaxing without any idea of the meaning behind it. A little research tells me that ‘Boxing day’ dates back to the middle ages when people would give gifts to people who worked for them or those of a ‘lower social standing’. The term itself ‘boxing day’ has its roots in the concept of a ‘christmas box’ being given in the context previously mentioned. That being said, enjoy the day, because tomorrow, reality resumes.